This article is an expansion of an article that I wrote years ago for my newsletter, Barry’s Bulls. I thought it to be an appropriate reprise as we end the year and reflect upon our circumstances. At the end of the day, we humans should value one blessing above all else - freedom. Freedom to think. Freedom to write. Freedom to communicate. Freedom to move about. Freedom to choose. Freedom to worship. Freedom to direct our own lives. What grants us this freedom? A few years back, my paternal Grandfather passed away. Some years later, my brother and I were going through some photographs. We were casually leafing through them when one particular photograph stopped us in a very long moment of reflection and reverence. It was a photo of my Grandfather when he was around 65 years of age. There was nothing special about it. There he stood alone in front of his house. He was maybe five feet seven and couldn’t have weighed more than 130 pounds. He was wearing working trousers and and buttoned long-sleeve shirt. Gazing at the camera with fierce blue eyes that seemed to penetrate the camera lens, he appeared irritated to be idle for a moment while the photograph was captured. All he ever knew was hard work. Standing still wasted time. What drew our attention, however, were the hands of this seemingly ordinary man. From this slight man hung these huge, powerful, prominently vascular hands. We both remembered the times we shook our Grandfather’s hand. It was if we were putting our hand in the mitt of a first baseman. Those hands were incredibly strong, well calloused and leathery. His grip was like a vice. I can still hear his greeting: “How ya’ doin’ Sonny-Boy”! You weren’t getting your had back until he released it. The man was not born that way. Born around 1898 in rural South Carolina, my Grandfather grew up farming. I remember when I was younger going through old barns and storage buildings. There I saw the tools of a man who survived through his hands. There were shovels, and pitchforks and axes. I can remember watching my Grandfather cut wood with that old axe. Those huge hands would lock around the handle and seemingly render the tool weightless. He would slowly draw it back and then arc it in a downward acceleration of power that hit its mark with a violent explosion of wood chips. There was a two-man saw with teeth two inches long. It may have been seven feet long and the wooden handles were well worn with the sweat and brute force of men who had to saw trees with their bare hands to clear land for farming. Nothing was easy. And, if you have ever been to South Carolina in the summer, you can understand what it must have been like to farm in the sweltering heat with oppressive humidity that makes the constant of sweat seem like another layer of skin. Some of my Grandfather’s kin folks left the area because those tools didn’t fit in their hands. My Grandfather stayed. He worked. He sweated oceans. Eventually he produced enough from his farm that he started a grocery store in the nearby small town. His business grew and prospered even during the Great Depression. He didn’t have any government help. He didn’t want any. He didn’t expect any. He didn’t rely on any. He had freedom. He had freedom to fail. He had the ferocity, determination, and will to succeed. His life was in his hands. Sweet freedom. Precious freedom. He had the hands that forged that kind of freedom. He raised a family and sent two sons to college. And when he finally retired, he didn’t owe anybody a dime. He owned his land, his house, his cars, and his life. That’s what the hands of freedom can do. Freedom requires sweat! Now we look at the sorry state of our freedom. We have allowed ourselves to be seduced by the easy life. If any of us had to swing an axe for more than a minute, we would have to retire to an air-conditioned house where we could sip a cold soda and watch our big-screen TV of which we have a remote control to operate the channels to find our favorite program of pabulum for a few hours of recovery. We want it this way. We want easy. Freedom is not our responsibility. We think someone is supposed to provide an easy life for us. And that someone is the government. 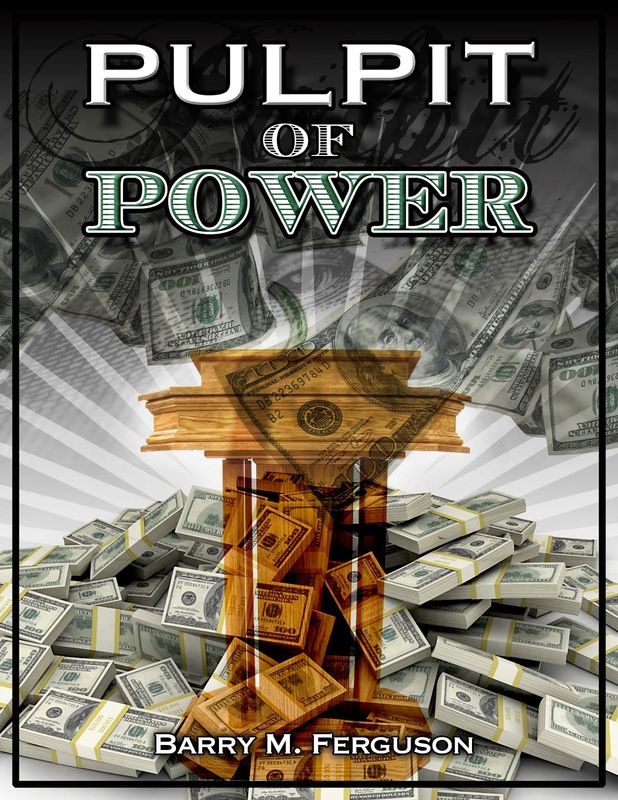 As we head into 2011, we seem to be content to allow the government to assume even more power as long as they promise to make our investments rise. There is no sense in running down the long list of manipulative efforts undertaken by those in power but there is one chart that we should all burn into our conscious. 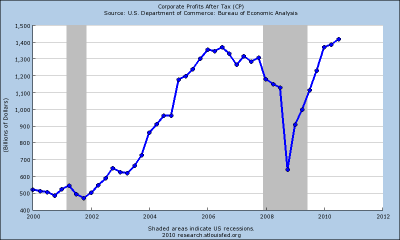 It is a chart of US corporate profits over the past ten years. Simple enough. That chart is Chart 1 below. What it shows is the extraordinary and abrupt decline in corporate profits in 2008 followed by the extraordinary and abrupt recovery in corporate profits just one year later. What could cause such a dramatic swing in profitability in the course of just a few years? What causes anything these days? It is the government at work. We cried when our stocks went down so Uncle Ben put a binky back in our mouths. What’s in that binky, anyway? The correct answer to every economic or financial question is, ‘derivatives’. We want easy. We want to believe. Producing and manufacturing is hard. Affluence gained through portfolio appreciation is easy. Sawing trees and plowing fields behind a mule is hard. Printing money is easy. We don’t want callouses on our hands. And, as with everything else, derivatives can make the illusion of affluence seem real. 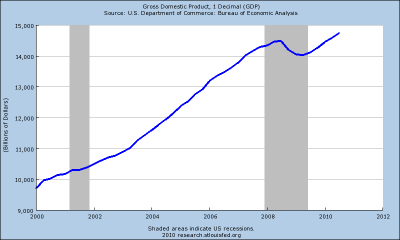 The previous administration actually thought the economy was strong and getting stronger. Former President Bush and Treasury Secretary Paulson said so. They believed their own fantasy story of economic recovery from the previous recession. The recovery was fueled by accounting regulations that allowed for derivatives to be valued at whatever fantasy figure made the bottom line look good. In 2008, the regulation was changed from ‘mark to fantasy’ to ‘mark to market’. Mark to market means derivatives had to be valued for what they could actually be sold for rather than imagined. As we can see from the chart, corporate profits plummeted. Rather than get a firm grip on axes and saws and plows, we rejected the hard work of real economic recovery as directed by truth, reality and sweat. We accepted the offer from governments and central banks to print money, borrow money, and create money. We allowed accounting regulations to be changed for derivatives so they could again be valued at mark to fantasy. Presto! Corporate profits immediately ‘recovered’. Well, of course they did. Chart 1 does not lie. If there are any doubters, the severe drop in corporate profits should tend to indicate a comparably severe drop in economic output. One would assume that this kind of drop in corporate profits would translate into a similar drop in economic output as measured by GDP. Please look at Chart 2. Yes, GDP shrank but not by much. Was the drop in corporate earnings due to economics or accounting? If the answer is accounting, then we should re-examine and question the reality of 'earnings'. The difference in the two charts is of an ‘accounting’ nature and it says something about us as a society. What is says is we aren’t willing to work for freedom. We surrender to the con because we fear there is another fellow on the other end of that two-man saw waiting for us to lock in our grip and start pulling. If we allow the trickery and dishonesty of the current accounting structure to constantly distort the true value of derivatives, and therefore earnings, we will find ourselves completely at the mercy of those who are empowered by the perpetual fantasy. If we allow the government and by default, the Federal Reserve, to conjure what we call ‘earnings’, then we have neither freedom nor reality. Freedom is truth. Truth is the seed of revolution. Revolution is the plant of success that sustains us all. Freedom is exercised from our hands and failure is its motivation. We need to develop callouses on our hands again. We need callouses on on brains. We need to understand that the new ‘financial regulations’ limit derivative and option exposure with ‘exceptions’ given to banksters. Why does a bankster need unlimited ownership of oil derivatives, for instance? So they don’t have to develop calloused hands. Freedom is not their profit center. Neither is truth. ‘Economic recovery’ is easier if it is an accounting adjustment rather than sweat driven. If we are to survive as a free people, we must arm ourselves with knowledge and wear the shield of truth. Both are in our hands. The hands of freedom will either be rough and calloused or they will be shackled with ignorance and surrender.